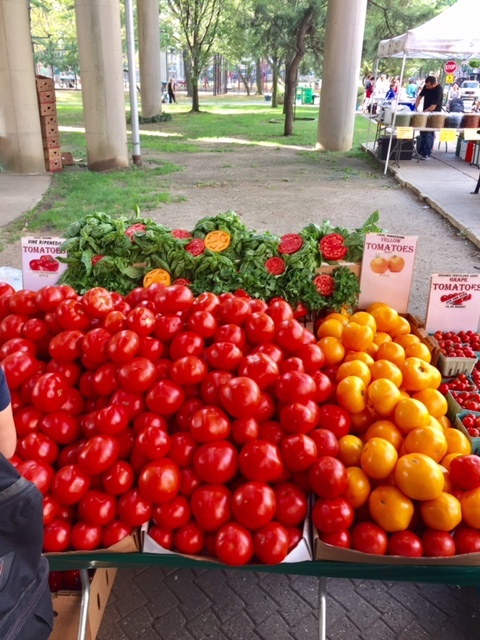 ... operates outdoors rain or shine every Saturday & Sunday from 11am-6pm. The market has over 80 carefully curated vendors that sell items such as internationally inspired food & drink, antiques, art, furniture, fashion, jewelry, arts & crafts and much more. Make it a great day outdoors with friends and family while taking in breathtaking views of the midtown Manhattan skyline. 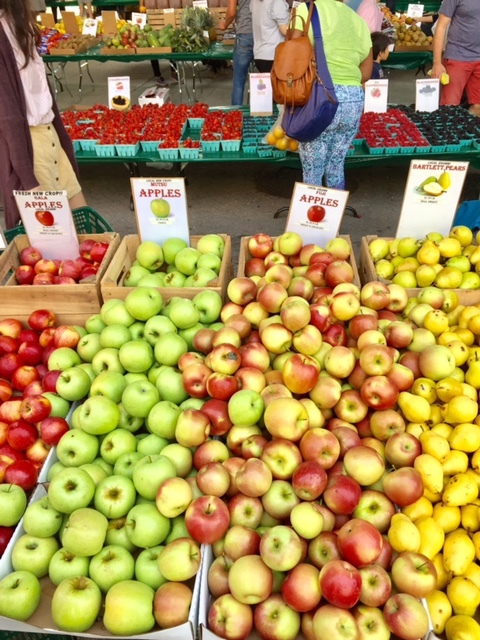 On a beautiful Saturday afternoon in September, I took the 5 minute NYC Ferry ride from Roosevelt Island to Long Island City to visit the LIC Flea & Food and met it's marketing manager, Elizabeth Aloni. She described what was available and invited Roosevelt Islanders to the LIC Flea. Here are some scenes from my visit. 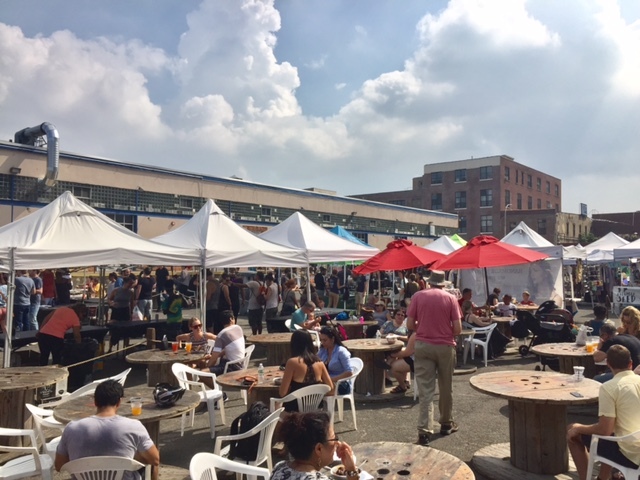 The LIC Flea & Food is hosting the 2nd Annual Queens Beer Festival this weekend. 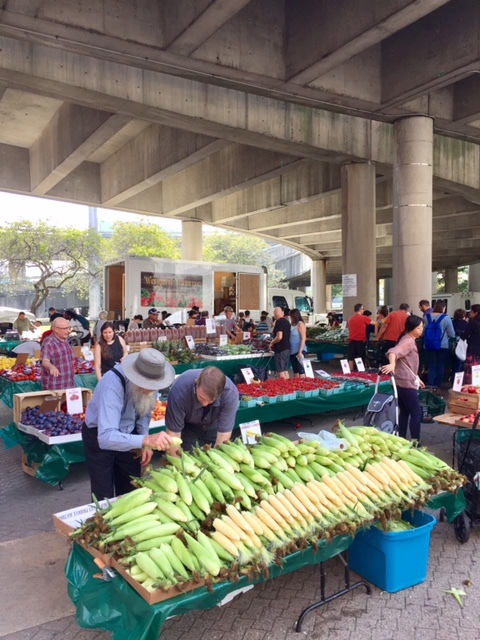 The Roosevelt Island Farmers Market located under the Motorgate Ramp is open early morning to mid afternoon every Saturdays in good weather and bad. The Autumn chill is in the air and the first sign of winter has appeared on Roosevelt Island. The Roosevelt Island Subway Fruit Stand Vendor has a sign on the cart announcing that they are closing for their winter hiatus tomorrow. Cheer up. 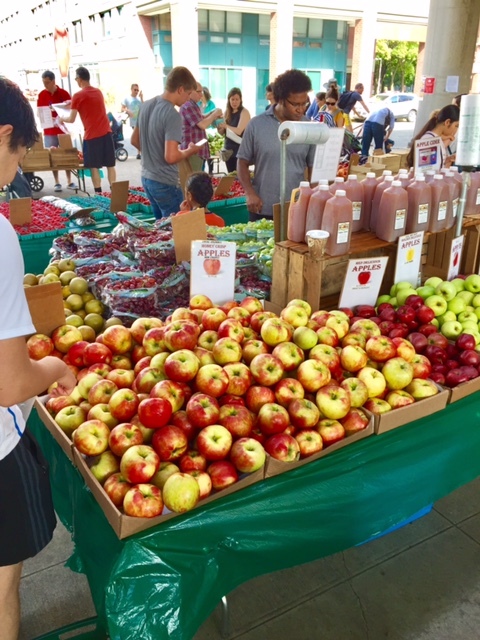 Spring will come and the Roosevelt Island Subway Fruit Stand Vendor will be back. UPDATE 5:55 PM - Oops. Correction. 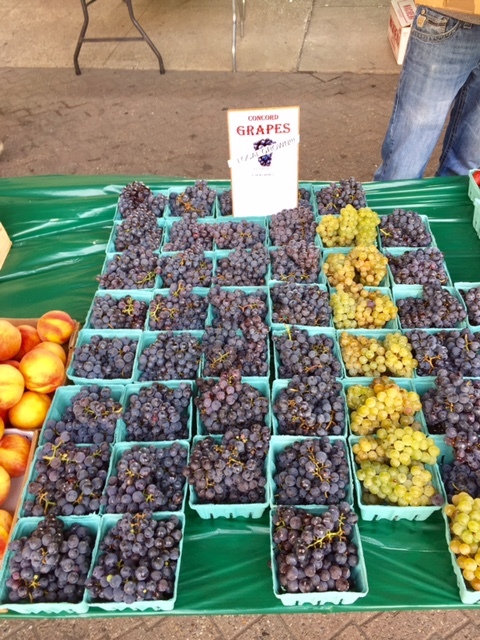 The Fruit Vendor is only closing for Saturday, October 14. Will re-open Sunday. Not taking the winter hiatus yet. Sorry for error. 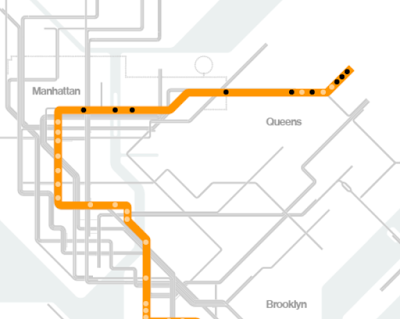 ... F service operates between Jamaica-179 St and Lexington Av-63 St, and via the Q to/from Atlantic Av-Barclays Ctr (skipping DeKalb Av, days and evenings), and via the D to/from Stillwell Av. Monday thru Friday October 16- 20. 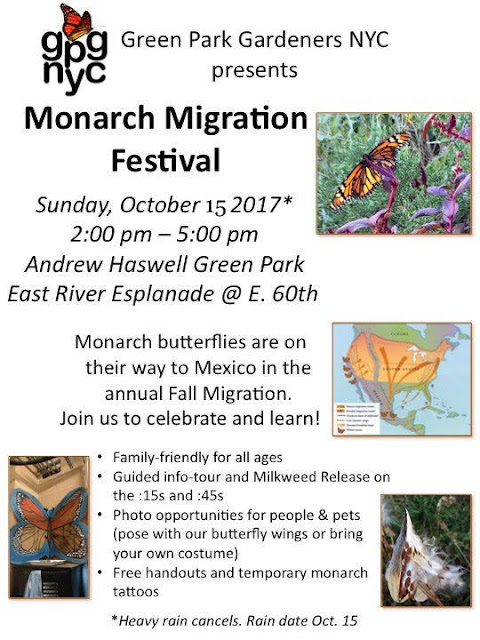 Join our Upper East neighbors, the Green Park Gardeners NYC, as they host the free family & pet friendly Monarch Butterfly Festival event this Sunday, October 15 from 2 to 5 PM at Andrew Haswell Green Park at 60th street East River Esplanade. iDig2Learn recently hosted Green Parks Garden NYC on a tour of Roosevelt Island's Monarch Butterfly corridor plantings of milkweed and nectar rich plants. Knowing the butterflies depend on humans to restore lost habitat we shared ideas, harvested milkweed seeds, and agreed to work together to build up pollinator friendly planting corridors on both sides of the East River. Island groups like the RI Garden Club and so many others have been planting natives to boost the Monarch Butterfly population and it is working (see Julia Ferguson's post with butterfly photos from Jenna Longo)! Sunday's event is part of a multi-island group collaboration to build habitats on both sides of the river, look out Queens you are next! Attend this weekend's event to find out more! You always look across the river as the Tram travels to Manhattan, but have you ever been to Andrew Haswell Green Park along the river or seen the that silver & red rollercoaster like sculpture structure up close? Now is your chance to visit. Just a 5 minute walk from the tram, walk as east as you can on 60th street up the traffic-free ramp, north of the Queenboro bridge left past the Alice Aycock art installation, down to Andrew Haswell Green Park to meet our Butterfly friendly neighbors. Try on butterfly wings, visit their stretch of esplanade garden and even get a temporary butterfly tattoo! more of these beautiful photos taken of Monarch Butterflies at the Roosevelt Island Garden Club last Saturday at this previous post. 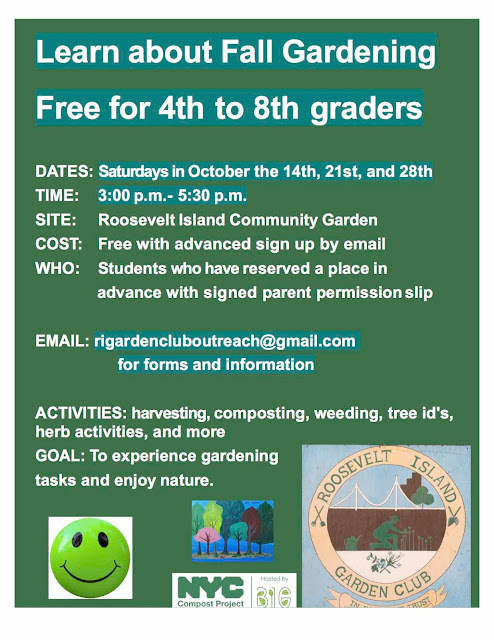 Roosevelt Island Garden Club is offering another short gardening course for 4th to 8th grade students who sign up in advance with signed parent permission. Sign up to come to as many of the three classes as you can. Space is limited. 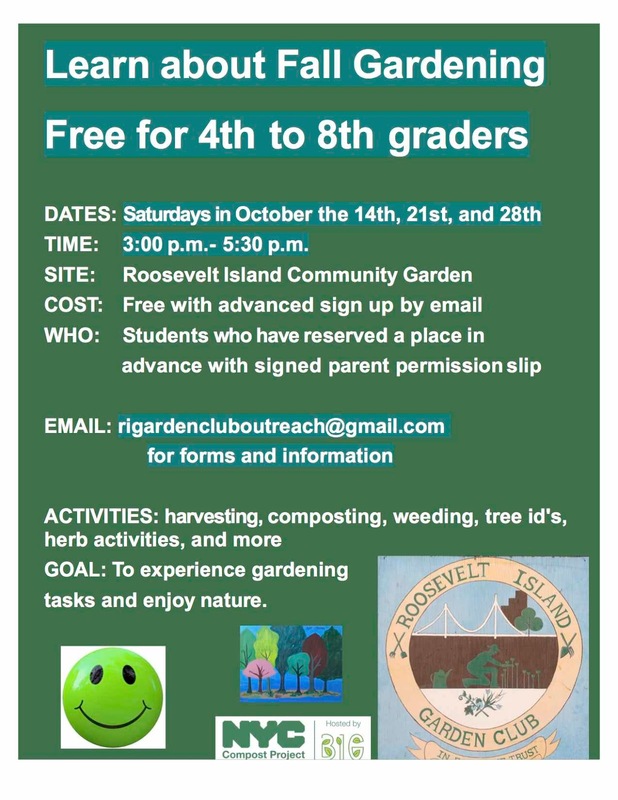 Please email rigardencluboutreach@gmail.com for more information. TIME: 3:00 p.m.- 5:30 p.m.
GOAL: To experience gardening tasks and enjoy nature. Check out the RIGC blog for latest info. Be advised that on Thursday, October 12th, 2017, from 8PM until 4AM, Friday, October 13th, 2017, Warner Bros. Television will be filming on the Roosevelt Island Bridge. During this time bridge traffic will be reduced to one lane with alternating traffic and intermittent breaks in traffic during filming. The scene will include various law enforcement and emergency personnel, vehicles and apparatus on the bridge and at the top of the helix ramp. The RI Public Safety Dept., NYPD TV/Movie unit and NYPD Traffic agents will be on site to assist with alternating lanes and traffic. film shoot permit fees here. 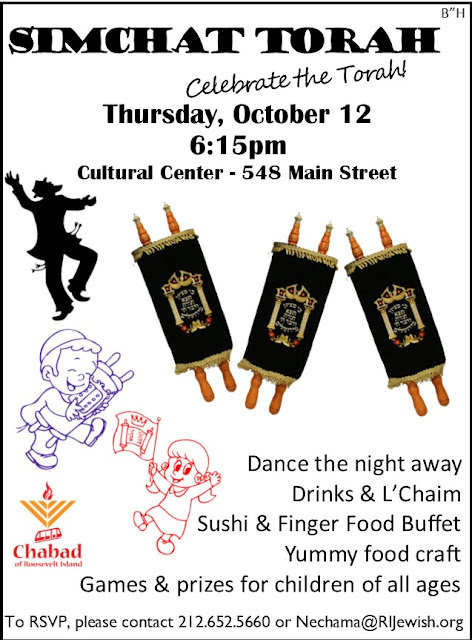 The Chabad of Roosevelt Island invite you to their Simchat Torah celebration Thursday, October 12. Here's how the Maccabeats celebrate. More info on the Chabad of Roosevelt Island available at their web site. A part of Roosevelt Island’s first phase of residential development that opened in 1975, the Eastwood building (now known as Roosevelt Landings) is renowned as a milestone in affordable housing. In this lecture, architect Matthias Altwicker who is Associate Professor and Chair at the School of Architecture and Design of the New York Institute of Technology, will discuss the fascinating history of Eastwood and the contributions of its designer, noted architect Josep Lluís Sert, then Dean of the Harvard Graduate School of Design. Mr. Altwicker will also discuss the origins and progress of affordable housing in New York City. The lecture, free and open to the public, is the first in RIHS’s annual series of Fall Lectures. More info on the remaining RIHS Free Lecture series at this previous post. The day Roosevelt Island residents have been waiting for is about to arrive. Nisi, formerly known as the Trellis is about to open. Con Ed turned on the gas and owners Kai and Alex Razaghie are hiring staff. This afternoon, I spoke with Kaie and Alex Razaghie who are very excited to open the Nisi restaurant on Roosevelt Island. seeking staff for the restaurant. Looking forward to the opening of Nisi. Good luck and Best wishes Kaie and Alex. During the Roosevelt Island Residents Association (RIRA) October 4 Common Council meeting, RIRA Vice President Lynn Strong-Shinozaki discussed an initiative to make mental health issues information available for the Roosevelt Island community and what to do if you are concerned about someone with a potential mental health issue. A potential resource for those seeking mental health assistance are services provided by NYC Well. More information available at the Make It OK take the pledge to stop stigma of mental illness. Beautiful Pictures Of Migrating Monarch Butterflies Filling Up On Plant Nectar At Roosevelt Island Community Garden On Way To Mexico - Can RI Become A Monarch Way Station & Urban Bird Friendly Community? ​Watch for the Monarch butterflies on Roosevelt Island! Thanks to collaborative efforts in recent years, our Island has added several sites committed to native plantings and pollinator habitats. These are very important for late summer and autumn nectar supplies. The Monarch Butterfly Corridor Project sponsored by iDig2Learn in collaboration with many other Island groups got us all started two years ago in October 2015. Roosevelt Island Garden Club now has quite a few committed pollinator and native plant gardeners and the club is including important native and pollinator plants in landscape beds. P.S. 217 has pollinator habitat beds. RIOC, RIHS Kiosk garden, Cornell Tech and some of our housing companies have also planted natives and late season pollinator nectar sources like Red Cardinal Flower, Blue Cardinal Flower, New England Asters, and Goldenrods. Can Roosevelt Island truly become and remain a Monarch Way Station? 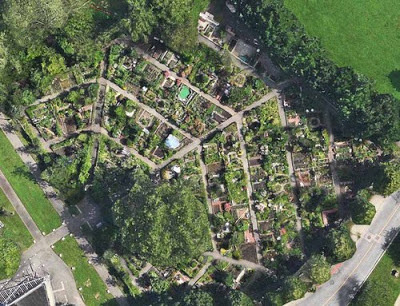 At the same time we would become an urban Bird Friendly Community? Last Saturday, it looked like all this might be a real possibility. without the Roosevelt Island community being informed. The message was forwarded to me with request to find out what was going on. I reached out to my contact at Coler and was told no such plan exists. I also asked Roosevelt Island's NYC Council Member Ben Kallos about the matter. Mr. Kallos said that they are reaching out to the appropriate NYC agencies for more info. We are writing to share information which has come to our attention with you because it may be of interest or concern to you. We have learned that the organization Barrier Free Living, bflnyc.org, will be opening a homeless shelter or halfway house on the premises of Coler Hospital by January 2018, if not earlier. Apparently, this shelter will provide residence and services to a population that may include ex-convicts, and possibly violent and/or sexual offenders, and substance abusers. As far as we know there has been no public information disseminated to our community. However, this is not a mere rumor. We were informed of this by a professional who works with this population and is having his/her position transferred to the new site in January. As of this writing, we have not received any response. This is particularly disturbing given some of these individuals are our elected officials. We hope this information is of value to you and we welcome your involvement in the effort to get to the bottom of this matter. BFL MISSION FILM 2014 from barrier free living on Vimeo. and at their web site. 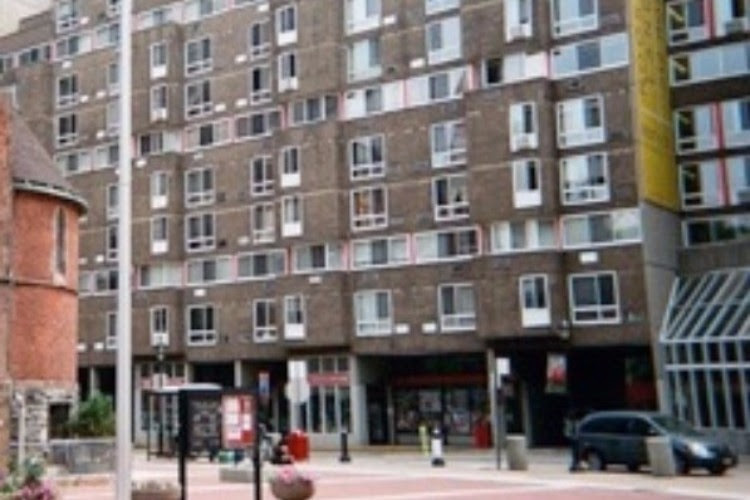 ... Assemblywoman Catherine Nolan (D- Long Island City) said she was “outraged and disappointed” upon learning last week that the Best Western at 38-05 Hunters Point Ave. was “yet another hotel in Queens” to become a homeless shelter. 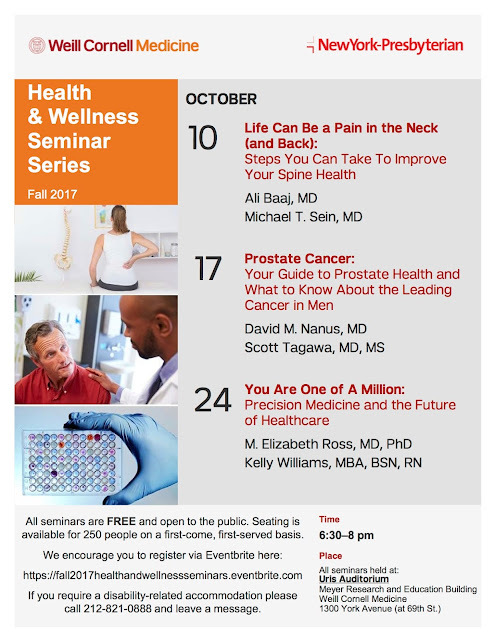 The Government & Community Affairs Team at NewYork-Presbyterian and the Office of External Affairs at Weill Cornell Medicine invite you to our Fall 2017 Health & Wellness Seminar series. The series will feature expert physicians speaking to community members about pressing issues pertaining to healthy living and healthy aging while offering the opportunity to ask questions directly to the physicians and experts. If you require a disability-related accommodation, or for weather-related cancellations, please call 212-821-0888 and leave a message. Please click here to register for a Fall 2017 Health & Wellness seminar.